Phone Lebara Mobile on their UK customer service phone number 0207 031 0791 to confirm their call rates, for international tariff enquiries and to find your nearest SIM card retailer. Alternatively you may wish to transfer your existing number to a Lebara SIM card in which case you may call this helpline to request a PAC code. Once you have your SIM card you can top-up your pay as you go credit by either dialling 5588 from your mobile handset or by logging in to your online account, therefore if you need technical support in case you have forgotten your password you may phone this helpline for customer care assistance. Similarly you can call their friendly UK-based staff if you need support accessing your voicemails, upgrading to a new handset and cancelling your tariff agreement if you are no longer satisfied with the value for money they provide. Lebara helplines are open from 9am-7:30pm Monday-Friday and 9am-5:30pm Saturday-Sunday although there may be closures on UK bank holidays. Calls are charged at standard UK rates as they use a London telephone number, this also means you may be able to call Lebara for free if you get inclusive minutes to use on your tariff. Phoning 5588 from a Lebara handset will be free for callers checking their balance and 10p per call to speak to a customer service advisor. Contact Lebara Mobile UK from abroad by calling their international phone number +44207 031 0791 where you can check your balance from overseas, perform a top-up and to add a country to your mobile plan thus giving you cheaper calls to that country. You should also call this helpline to report your mobile phone as lost or stolen so that they can block the SIM card thus preventing criminals from using your mobile phone for illegal activities. They will then send a replacement SIM card to your home address however you can call this number to find the closest stockist of Lebara SIM cards in the nation you are in. Please be aware that calls to this international number will usually cost substantially more than standard UK calls unless you have a dedicated roaming package on your mobile, plus the exact charges will depend on which country you phone Lebara from. 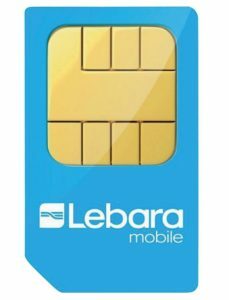 Join Lebara Mobile by calling their sales contact number 0870 075 5588 (at 13p/min + access charge) to purchase a SIM card over the phone, for special offers on call rates and to confirm tariff prices, including international plans. This hotline is suitable for all their tariff types including pay as you go SIM cards, prepaid plans and contract agreements whereby you pay for your mobile phone useage via a monthly direct debit agreement. Similarly if you wish to upgrade your current package by increasing the amount of mobile data avaialble to you when using the internet you may dial this number to change your existing arrangement. Please note that this is a service number that is charged at 13p per minute plus an access charge which may be substantially higher for mobile callers. Lebara Mobile offer UK customers several ways to contact their support departments through traditional written methods, including postal and email addresses. Moreover they now provide several dedicated profiles on popular social media networks where you can post public messages regarding your tariff agreement. Customers can send letters to Lebara Mobile customer services using the address provided below, however you should be aware that this office does not accept cheque payments for credit top-ups and that this is a slow method of contacting their team. Contact Lebara via online messaging by filling out their email contact form available on their website. Here you will also be able to search through their Frequently Asked Questions (FAQs) as well as viewing their tariff prices. 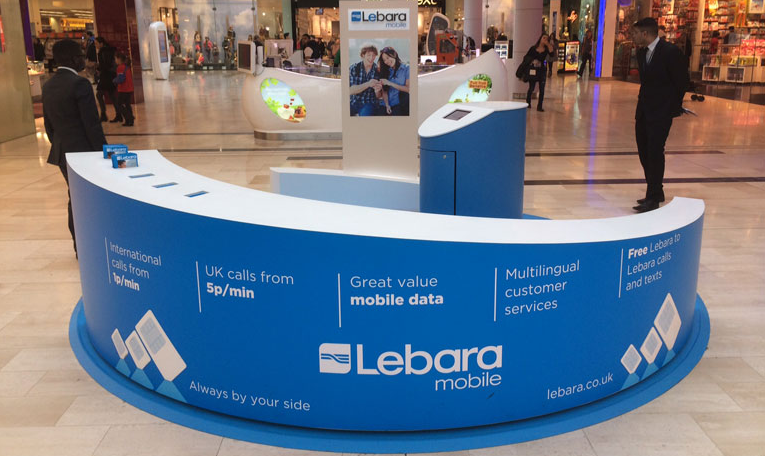 Lebara Mobile offer numerous profiles on some of the most popular social media websites used throughout the UK, you can post public messages on these accounts as well as viewing their latest special offers, tariff deals and SIM card outlets.